The photo I've chosen was taken in St Louis during my recent trip there in the summer of 2008. 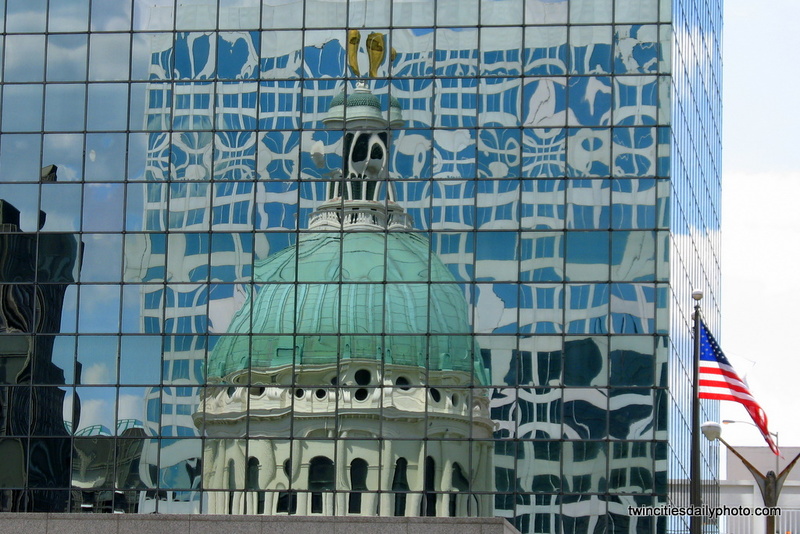 The building in the reflection is the Historic Old Court House building that sits directly across from the Gateway Arch. Stop by the other Daily Photo Blogs participating in the 'glass' theme to see how they interpreted the theme at the theme day photo portal. Simply glass, simply stunning detail.